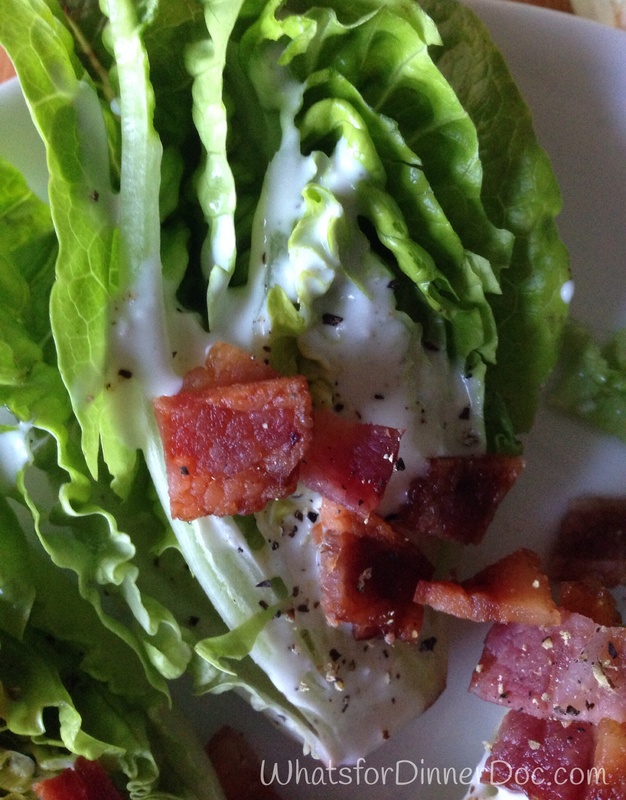 Baby Lettuce, Blue Cheese and Bacon Wedge Salad – What's for dinner, Doc? CSA's, Fiesta Friday, Recipes, What's in the box? My Winter produce can be a bore. I’m lucky enough to be a hundred miles from California’s Sacramento Valley where the Spring crops are coming into season but there hasn’t been a huge variety yet. My CSA basket has been filled with kale, cabbage, carrots, radishes are turnips. Last week I was surprised with these Little Gem lettuces. 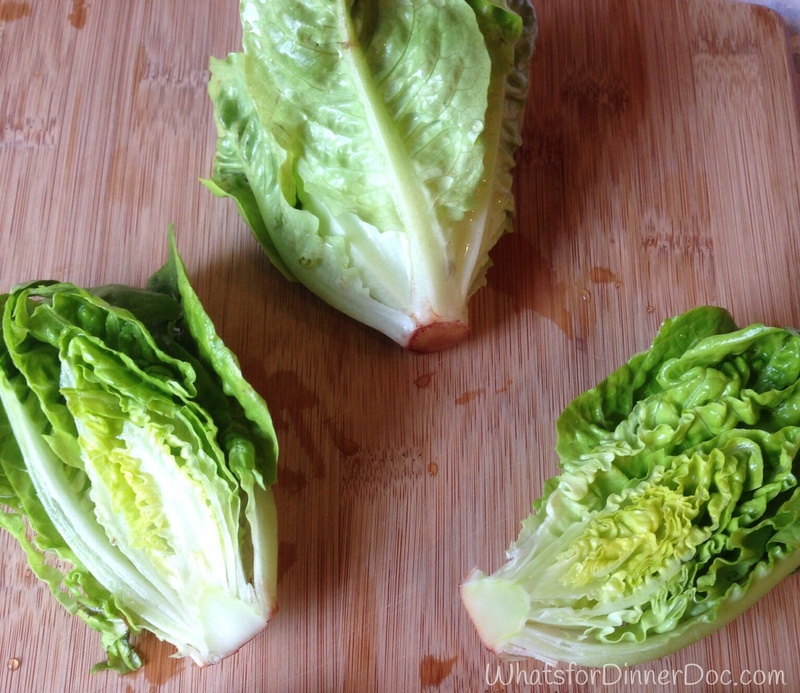 They look and taste like Romaine but are the size of a baseball. 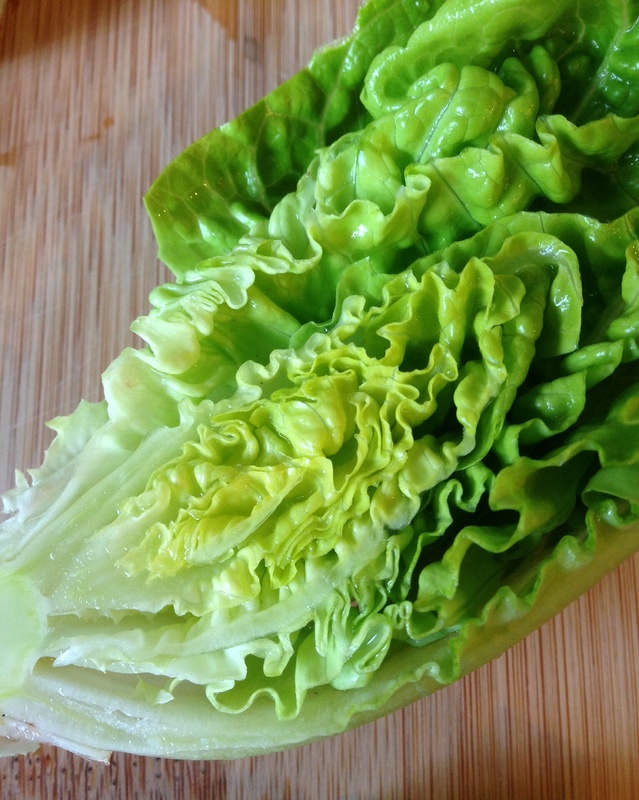 They are beautiful ruffled green, four bite wonders. I washed and sliced them in half and dressed them with Trader Joe’s blue cheese dressing and crisp bacon. A baby wedge salad was on the table in 5 minutes. Pick them up with your hands and eat them in 2 bites. These would be perfect for an appetizer if cut into fourths or for an elegant dinner party. 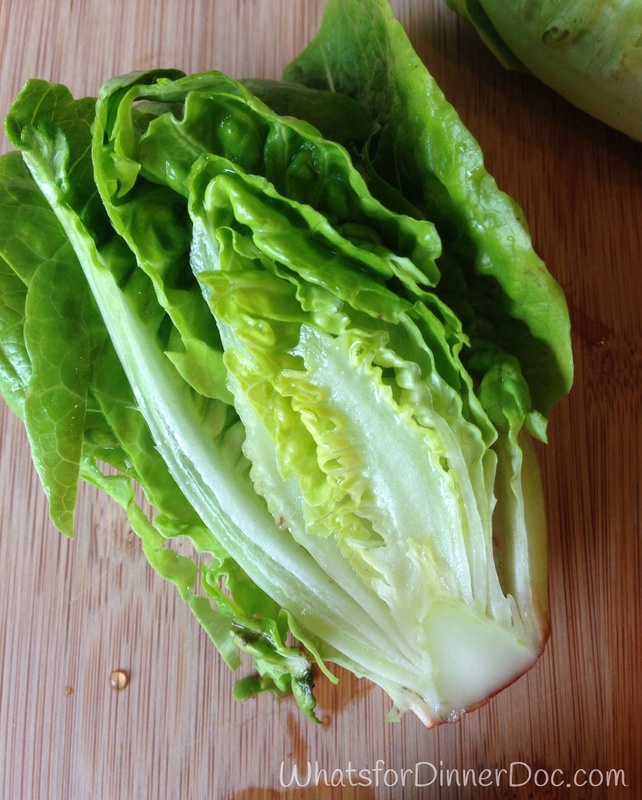 You can make wedge salads with iceberg lettuce but why would you if you can find these Little Gems. I love this!!! I order it all the time at my favorite neighbood restaurant, they use a buttermilk blue cheese dressing, so good,that baby lettuce is great I will keep an eye out for it. Perfect serving size. 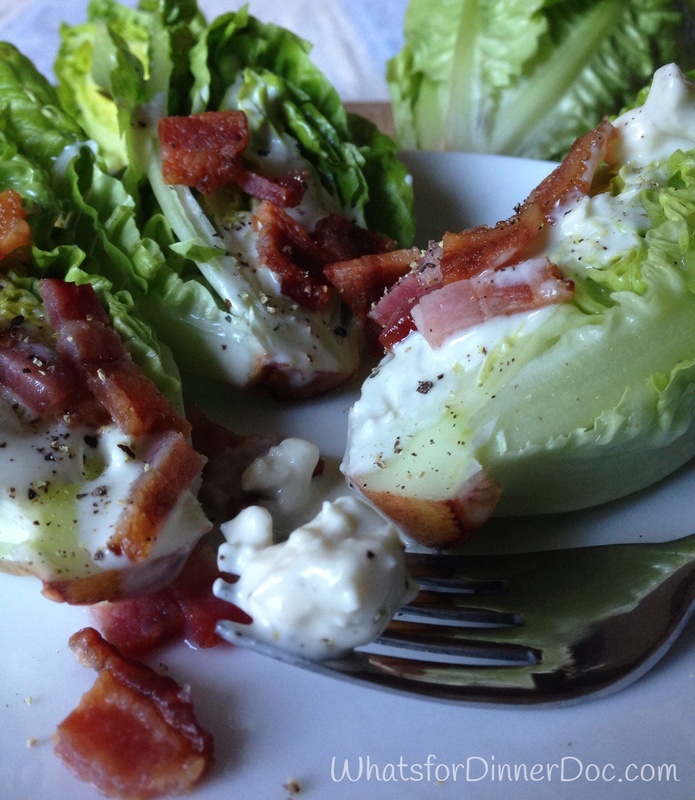 These were perfect for a wedge salad with all these delicate ruffles.